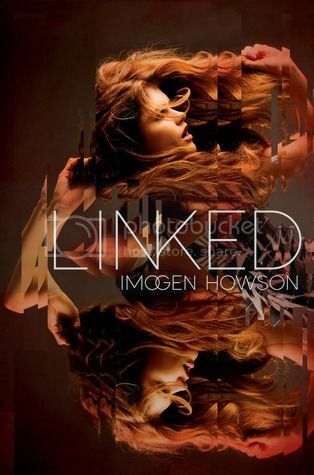 Linked is a Sci-fi novel about a girl named Elissa, whose life is far from perfect, and is just about to get even worse. On the run from government agents, with a girl she doesn’t even know, who she must keep safe, her life may never be the same again. The characters in the story….. Elissa and Lin, being the teenagers that they are, completely frustrated me at times with some of the decisions that they made, or with how they treated each other. But the story wouldn’t have felt so realistic otherwise! Both girls grew leaps and bounds throughout the novel, by the end of the story, I was super proud of both of them. The secondary characters that we get to know in the novel are interesting as well, the main being Caden. (Swoon!) Elissa’s mom was selfish, and was just not a character I enjoyed at all, but I loved her father. A few crew members from the ship were great as well. I’m not going to include their names, so that you can meet them yourself. The storyline for the novel was really engrossing. There were a few times that the novel was a bit slow, but for the most part, the suspense nearly killed me! I haven’t had a book do that in a really long time, and I enjoyed it! I also loved the descriptions and the world building for the novel. While I’m not much of a sci-fi person, the descriptions helped me picture the world Howson created perfectly. Overall, I enjoyed Linked SO much more than I expected to! I can’t believe I waited so long to read it. Now, I just need to get my hands on the next book, Shattered, set to release in 2014! Hum...I haven't heard a whole lot about this one but it definitely sounds intriguing! I like that it surprised you and turned out to be more than you expected. I've wanted to read this book because of the gorgeous cover & I'm so glad you liked it! I'm not a huge fan of sci-fi, but I do enjoy the occasional sci-fi read. I'm really excited to read about the world Howson created! Great review! i haven't heard of this one yet, but the cover is gorgeous, so i'm definitely adding it to my list. i have a contest going on right now, you should check it out! I need to be convinced about books that have dual main characters! I tend to prefer when the focus is on one person otherwise I think the characterization suffers. There are always exceptions, though, and I really want this to be one of them!